Commercial Janitorial Services in Singapore - Frisco Technology And Services Pte. Ltd.
A company or business organization spends much time in creating new plans and designing products. It’s a natural scenario when you enter an office building – you see all are busy at work. Business owners are focused in running the business in an effective manner. All entrepreneurs are determined to reach their goals. But – they’re forgetting something – cleaning and organizing their office. Companies particularly those who give janitorial services can benefit from outsourcing janitorial services. It adds up the growth or the success of the company. In what way does it benefit a business organization? Here are the benefits of outsourcing the commercial janitorial cleaning to a commercial cleaning company? Let’s face it. A commercial cleaning company sometimes face a hard time in organizing an office or building. But, it’s not a problem anymore. Why? 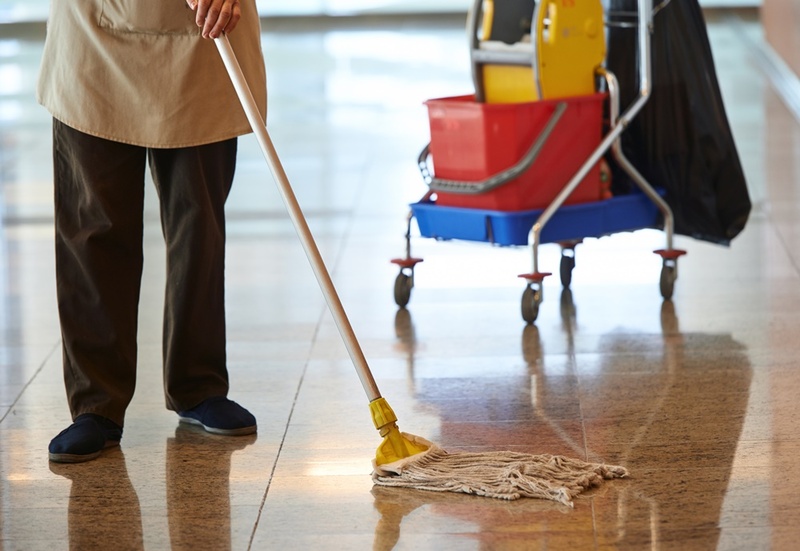 An outsourcing janitorial service provides staff and cleaning products to the company. Managers would have a chance to reduce in managing cleaning efforts. The janitorial services make the work easy for them. They don’t have to waste time in buying cleaning products and equipment. It would be extra costly if they would get cleaning services from other providers. Not all office staff wants to clean the office all the time. It affects their work because they need to give time to cleaning a facility. It can even lower their morale as employees. A commercial company doesn’t need to face a day emptying a trash can. The outsourcing janitorial services give the company a helping hand on that. Employees would feel happy and delighted to start work every day. They have more time to focus on the important things such as generating revenue. One of the great things about outsourcing janitorial services is the consistency it offers a company. Business owners can feel comfortable and at ease in entering an office. What about the employees? Well, they can be happy and feel convenient all the time. There are no hassles during working hours. Yes, in fact a whole office staff would have a chance to finish their work on time. They wouldn’t way for the other employees to clean the office. There would be a calm and serene feeling inside the office. Each day is a great opportunity to work hard and achieve success. All of it is due to the janitorial services that make office life easy and comfortable! Now, business owners would be happy to choose from the janitorial services offered to them. But, there’s more to that! The outsourcing janitorial service also offers cleaning services. 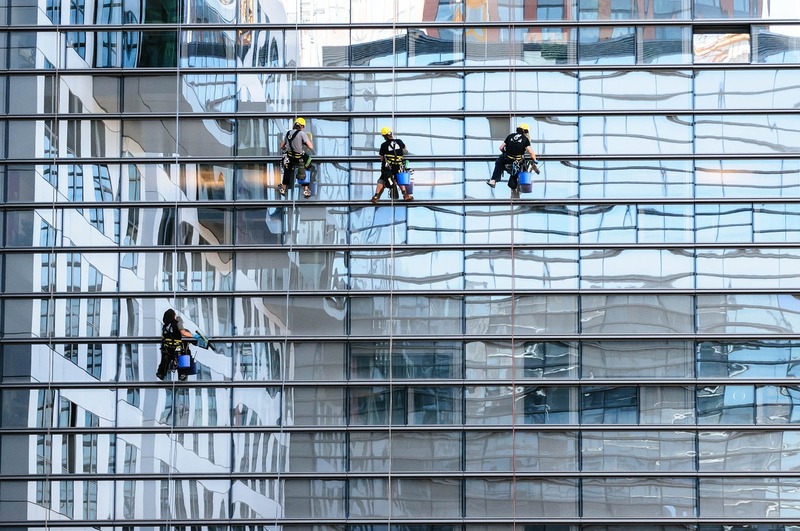 There’s an assurance you wouldn’t worry of choosing a type of cleaning you want for a building. Another good thing about this is the full service the janitors offer. You can achieve your goals in maintaining the cleanliness of the office all the time. Of course, you would achieve what everyone wants to achieve in life – success. The cleaning services are a great way for a company to concentrate on its goals and serve more to clients. The cleaning services team can also reliability. Now, that’s what we call full success! A good impression and reputation is important for a company. People and clients would trust a commercial cleaning company if it upholds it goals. From here, you can expect the company to continue with its successful goals. A neat or clean building of a company reflects the commitment and honest pursuit of company towards excellence. The company can attract more clients to come to its office due to its attractive and neat premises. There’s a sure a sure way to gain extra revenue from the trust and support of the clients. Any business owner can have the satisfaction he or she needs. It’s all possible due to quality janitorial services. More companies are interested to have outsourcing janitorial services. The companies are able to meet it needs in the best way. If you’re the business owner, you can imagine this would give your business success. You can expect a happy office life. The staff would have the urge to work. There’s a sure way to gain more revenue. Other company owners have the great chance to hire outsourcing janitorial service too! They can feel the comfort and gratitude of having a beautiful office. They can also assure that a clean ambiance would be theirs all day. Thus, there’s another great reason to be happy and productive at work. So, are you ready to embrace the great change in your office? Come now and experience the advantage of having janitorial services! For sure, you would be glad to have it! Article by Amazing Web Services Pte. Ltd.
© Copyright 2018 Frisco Technology & Services Pte. Ltd. All Rights Reserved.